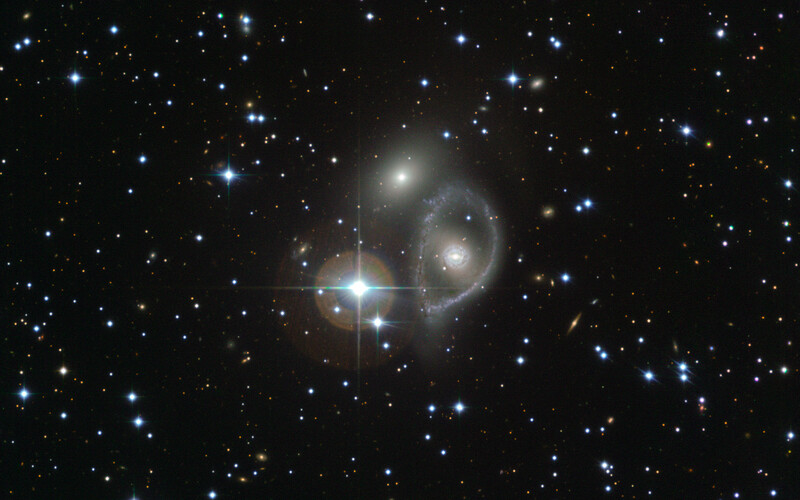 This Picture of the Week shows the Vela ring galaxy, visible as a bright core surrounded by a baby blue halo. 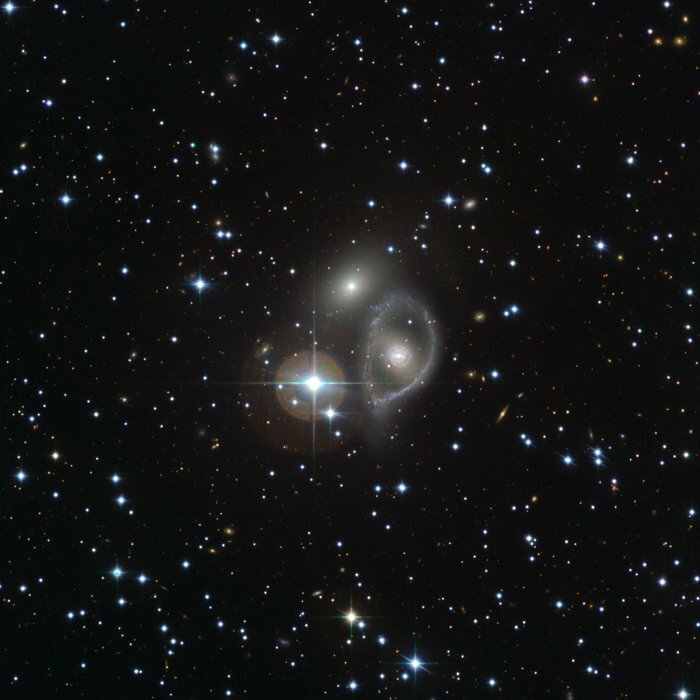 This ring galaxy — located in the southern constellation of Antlia (The Pump) — is notable due to its compact core and large circular belt of gas and stars. 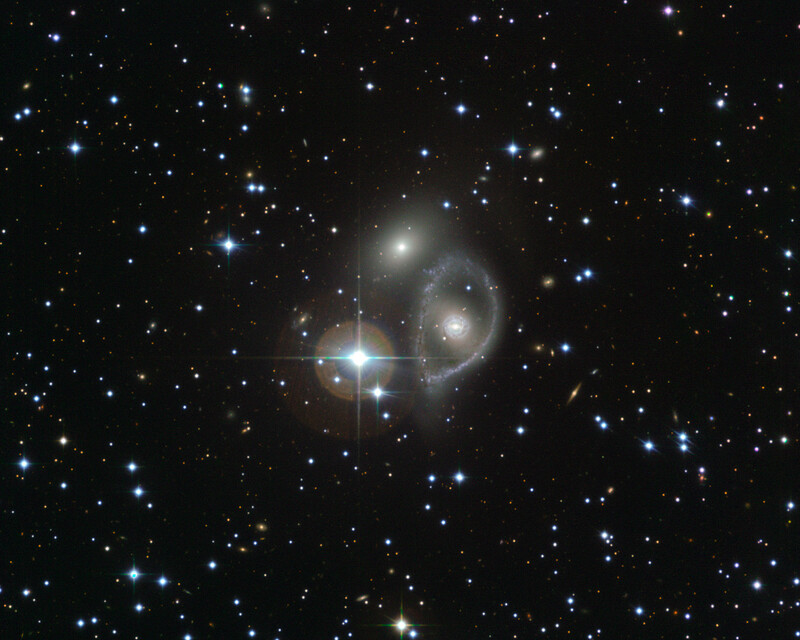 It is thought that ring galaxies like this are created when larger galaxies are punctured by a smaller galactic aggressor, which, passing through the heart of its more sizeable victim, triggers a shock wave that spreads outwards. This pushes gas to the galaxy’s periphery, where it begins to collapse and form new stars. The Vela ring galaxy is unusual in that it actually exhibits at least two rings, suggesting that the collision was not a recent one. 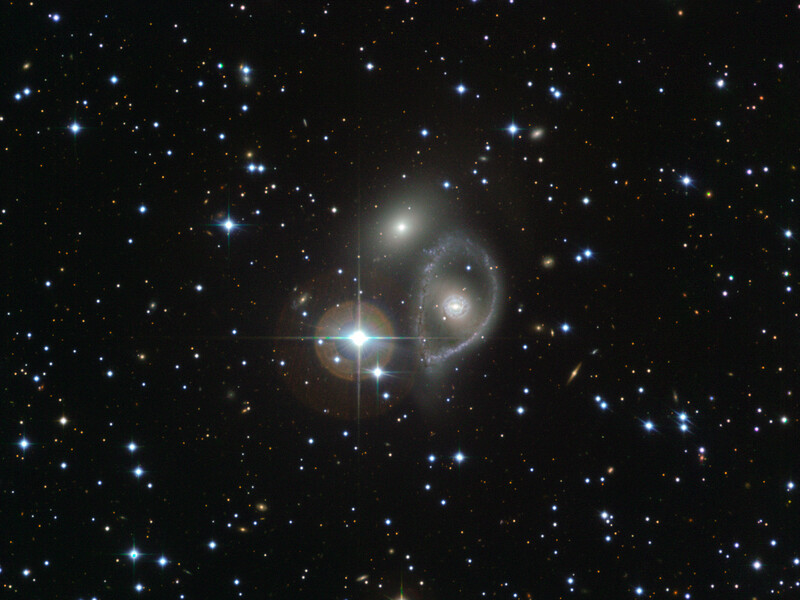 This picture also features a galaxy known as ESO 316-33, seen just above and to the left of the Vela ring galaxy, and a bright star known as HD 88170. Position (Dec): -38° 24' 32.33"